also view our Prayer and Sacraments page for more details. 9:10 am to 10:10 am on Sunday mornings. Children participate in classes according to their school grade level from preschool through fifth grade. Generally 1st and 2nd graders are preparing for their First Eucharist. Children in third grade or above prepare for their First Reconciliation class. 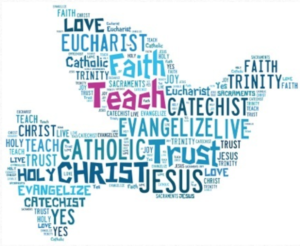 All groups study Catholic tradition and practice, scripture, prayer/worship, doctrine, service and community. Each Sunday at the 10:30 a.m. liturgy, children of pre-school ages up to 2nd or 3rd grade leave the church after the opening prayer to meet with adult presiders for their own, age-appropriate Liturgy of the Word. 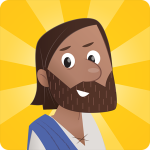 They listen to the Gospel, participate in liturgical activities such as reading, singing, discussing the meaning of the scriptures, and engaging in a craft, game or activity that teaches the message of that day’s Gospel. Older children often participate as helpers. The children return to the church for the Liturgy of the Eucharist. 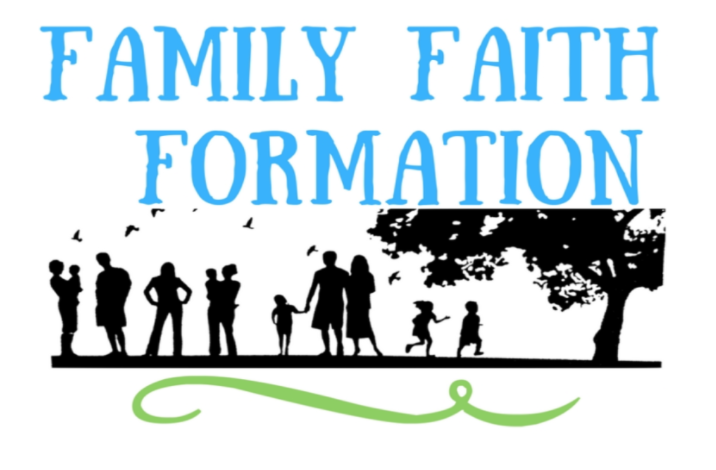 While children and youth meet for faith formation in the parish center, their parents often meet in the cafeteria for fellowship and conversation. 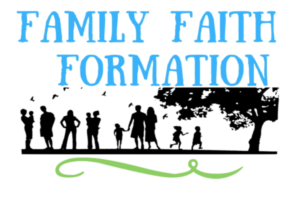 Topics vary widely, but their purpose is to support parents, not only as they teach their children about faith, but also to support their own growth. Visiting parents and other family members are always welcome. Adult education is a high value at St. Augustine parish and is offered in a variety of ways. St. Augustine Parish staff provides occasional daytime and evening events focused on a variety of topics. 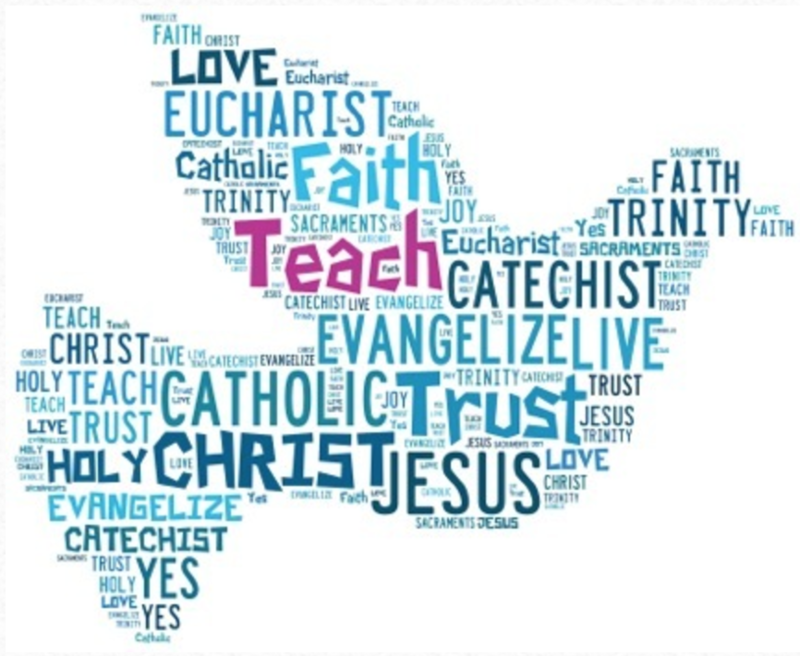 In the past these have included, among others, inter-faith dialogue, exploration of the theological basis for social justice ministries, exploration of the writings of Pope Francis. Sometimes interns from the doctoral program at the Jesuit School of Theology offer adult formation events related to their studies. Consult the parish calendar or bulletin for scheduled events.